I am looking for any information about communication protocols or databuses for very small sensors, transducers or other load devices, such as 'programmable matter'. Place of installation: control cabinet inside of workshop. Thanking in advance we look forward to hear from you very soon. I am looking for long range distance detection up to 60 meter around circular shape machine. We are looking for a sensor for detecting metals trap in continues mineral belt carrying ore at mine sites. Please advise if you have this type of sensor. We going to measure the height of a rising polyurethane foam in a narrow gap. Distance between sensor and bottom of gap: +/- 200 mm. Distance between sensor and cured foam: +/- 20 а 50 mm (setup can be slightly modified for the distances but the minimal range is +/-180 mm). Width of the gap is variable: 15 to 30 mm. Resolution for this measurement can be +/- a 1 mm. Output signal analog 0-10V or similar. We are looking for a low cost ultrasonic sensor for measuring the movement of a door frame while hitting/closing the door with different forces. The movement is rather small and ranges from 0,1 mm to max 10 mm. Do you have a possible solution ? Agent from Belgium are very welcome. I am presently doing consulting in low-noise electronic design for seismometers and scientific instruments. I have been thinking about the need for lower noise in commercially-available amplifiers. Low-noise op amps can achieve input noises on the order of about 1uV between DC and 10Hz. I believe it is possible for me to build a modular or hybrid op amp having an input noise ten times lower than this, on the order of 100nV rms between DC and 10Hz. I am curious to know if anyone thinks their might be a need for this kind of amplifier. We are looking for a sensor to measure the surface velocity of metallic rotating pieces with a contactless method and without necessity of a reflective target. We are wondering why the technology used on mice and other navigation systems (Agilent sensor measures changes in position by optically acquiring sequential images) is not applied to industrial sensors. I am looking for Gas/Smell sensors which have Desktop PC connectivity through Serial, Parallel or USB etc. It would be highly thankful to you if you could also let me know the price and the place/vendor from which I may procure the same. I'm doing a project on car parking controller using microcontroller. I would like know which sensor can I use for my application and also how to interface it with a microcontroller. I would be happy if you send me the details regarding my project. Please advice hardware and software to buy and the tutorial guide website to build this things, thank you very much for your help. We are looking for a n-hexan sensor or transmitter, concentration of about 100 mg/m3. I'm an advisor of CITA (Aeronautics Technology Investigation Center) of the Colombian Air Force, Colombia, South America. We are looking for funds and partners for investigation of the use of UAVs and Sniffer Sensors for the detection of landmines and IEDs. Please ask for details. We're looking for a 2-axis laser receiver that can handle up to three or four inches of movement in an outdoor setting. It is for monitoring vertical and horizontal movement in large civil structures as they are loaded. Our hope is to implement it something like the following list, and we are somewhat flexible on most of these. 1) We would mount the receiver on the structure, anywhere from 20' to 80' away from the laser transmitter such as a standard handheld pointer. 2) This pointer would remain motionless as the structure moved. The receiver could possibly move left and right and also up and down, with a maximum of 4 inches in either direction. 3) Accuracy would need to be hopefully in the several-hundredths inch range. 4) We would like to read analog outputs from the receiver directly into our data acquisition system. Hopefully plus/minus 5VDC output for each direction, but other possibilities can be considered. 5) We're assuming that we need to read from the receiver end, but if there's a way to read this from the laser end, that would be fine as well. and also have NO/NC relay contacts. I am looking for GMR c6 resistor manufactured by Infineon. I am interested in knowing where this resistor can be purchased. How can I develop a simple capacitive sensor which can be placed inline in a pipe and which can detect the deterioration of oil flowing in that pipe. We are looking for distance measuring sensor to control of liquid silicium level. I think that it can be any laser sensor. This sensor must be high temperature protected if we will install it inside of melting chamber. What could you advise to us? I was looking for a moisture meter that could be set to read very shallow, 1/2 inch in depth or less. Many have pins that are too long, and some of the pinless are proud of how deep they go, but I want to stay shallow to read just near the surface. I was hoping that some of the electronic ones were adjustable. Any suggestions on that? 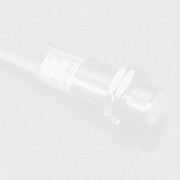 I am looking for photoelectric Sensor (thru beam) that has a high resolution. The receiver must have the capability of seeing the transmitted beam in a extreme environment. The Sensor heads must be compact, (no larger than a pensile eraser) I have had some luck with a sensor from one of the leading manufacturing Sensor companies, But the problem is durability. If someone has any Sensors that will work with the above specs, pleas let me in on the manufactures name. For my project on carbon dioxide incubator, I need a low cost carbon dioxide sensor. We are very interested in knowing where this sensor can be purchased. Is it available on the market now? It is a product that has been apparently developed originally by NASA called the Child Presence Sensor. Apparently it is a device that is attached to an infant car seat. The purpose is to alert the parent or child guardian that inadvertently leaves a child in the car. Please either email us back with this information or call us at 954-797-5299, ext 350 for myself or extension 215 for Commander Harn. I work for a company that produces ball and roller bearings. We are looking for a sensor that can detect a ball (metal or ceramic) through outer rings which have various wall thickness. The balls will be in motion riding in a track or "raceway". Our effective wall thickness ranges from approximately .050" to 1". Essentially we are looking for a sensor that acts like a proximity switch, however if needs to have the ability to see an object moving behind another object (without inducing any magnetism). This has not been an easy search thus far. If you can shed any light on this it would be greatly appreciated. I am looking for a sensor that can measure nitrogen and preferable also water in soil. Does such a product exist (also only a sensor for nitrogen measurement)? I am looking for a sensor that have two outputs 0-10V DC one for CO2 an other with SnO2. do you know alternatives to GMRC6 from Infineon or KMZ43 from Philips? I am basically trying to build a gas detector which can identify at least 4 different gases using LEDS to identify them. The output is an analogue voltage which is characteristic to the identified gas. The programmable logic device is going to be used to select the appropriate LED for the identified gas. I do not want to use a microprocessor or any type of memory for the identification process mainly because the sensor is required to be hardware based. I am looking into interfacing a gas senor with a programmble logic device. Could you be kind enough to email the circuit diagram ? I am working on a project which requires to detect the human presence in a room . If you have any such good sensors please provide the information and the pricelist. I am working on small scale vehicles. I want to to study basically traction control on track vehicle but for this I am using small scale vehicles and want to measure the most accurate readings like rpm of sprocket, torque on sprocket. Can you suggest me any method or sensor to use. Any other link, material will also help me. Subject: Need contactless insitu pkg measurements: RH & T w RF communication? Are there inexpensive small battery operated sensors that record and/or communicate the internal conditions of a package, without opening them? Some sensors would be in use for 12 mo. They would need to survive exposure to a acidic organic solid at ambient temperature. Data collected: relative humidity and temperature. One device preferred. Individual poling by ID would be nice but is not necessary if the transmission range is short. Sensors would be placed in the middle of a 30 gallon fibre drum filled with the solids. We need 1000 pieces oxygen sensor for our project. How can we buy those? Please send more information and price list.